At Morgan, we develop communities that drive revitalization, promote and preserve the historical and cultural roots of our cities, and offer residents a superior place to live and work. 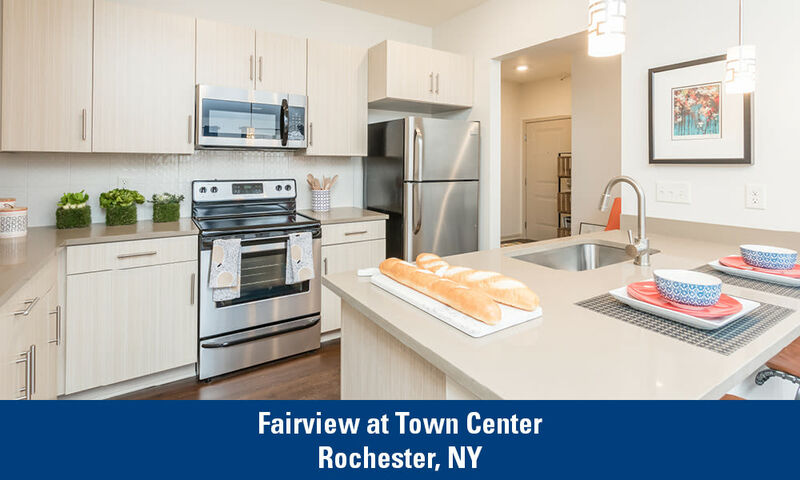 From ranch-style duplexes to downtown high-rises and mixed-use redevelopment projects, our focus is to make a difference in the communities we serve. 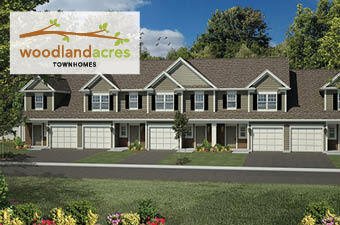 Contact us to learn more about Morgan Communities development projects. 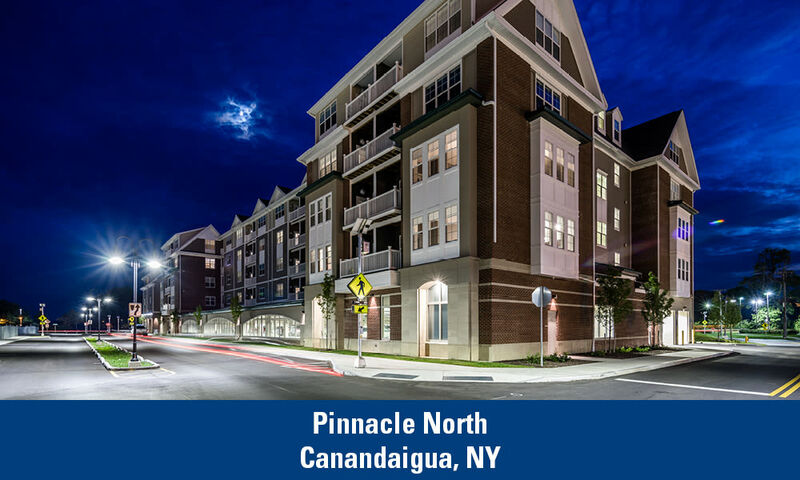 The Canandaigua Lakefront Redevelopment Project, also known as Pinnacle North, is a 21-acre site located in Canandaigua, NY, situated on the north shore of Canandaigua Lake. The project will be developed through a joint-venture between Morgan and LeChase Construction. 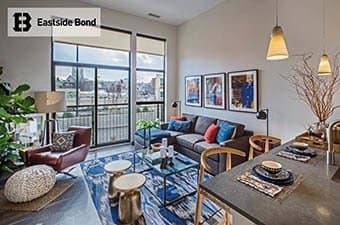 At completion, it will include 454 apartments and townhomes and 69,600 square feet of commercial and public use space. This is a $46M project and will be built in five phases. Plans include a fitness center, lake access, and retail and dining space. 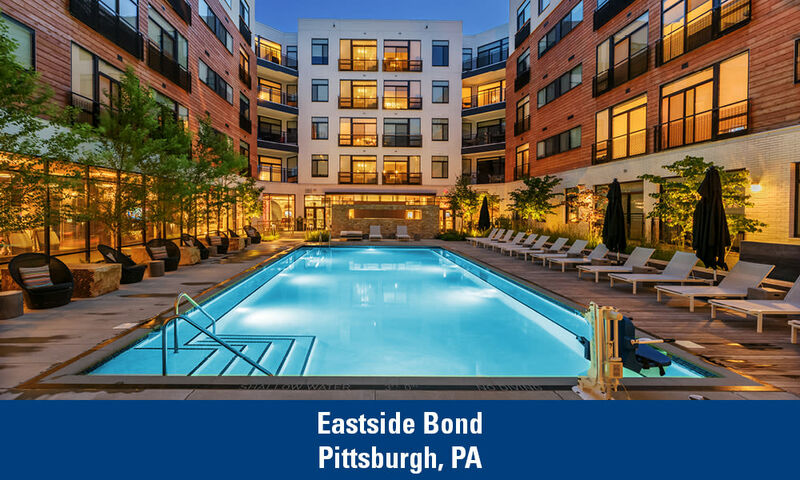 Eastside Bond is a 357-unit luxury apartment project located in the Penn Circle neighborhood of Pittsburgh, PA, and includes a 566-car parking garage and 43,263 square feet of retail space. Partnering with The Mosites Company, this is a $110M project on 4.5 acres. 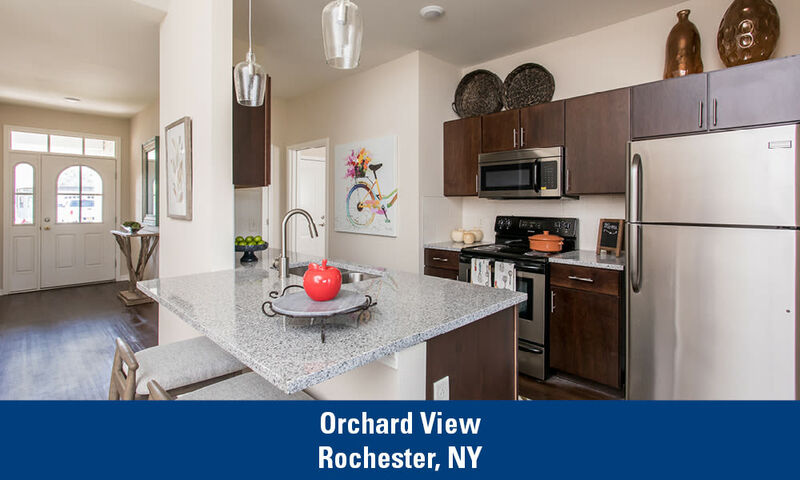 Amenities include a resort-style saltwater pool, rooftop retreat deck with lounging area and green space, outdoor fireplace, and grill stations. 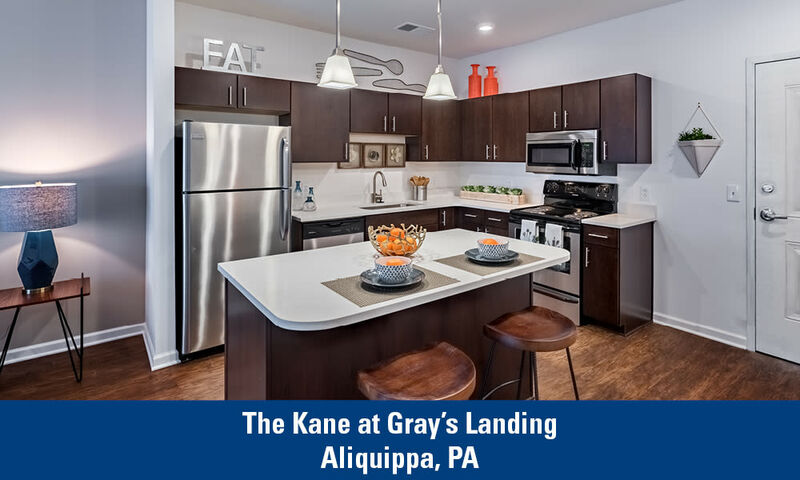 The Kane at Gray’s Landing is located in Aliquippa, PA, and will consist of seven, three-story buildings containing 222 apartment homes. 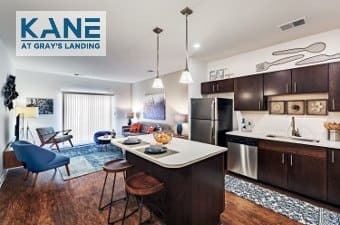 The community is located twenty miles west of Pittsburgh, PA, and nine miles north of Pittsburgh International Airport, with easy access to I-376. 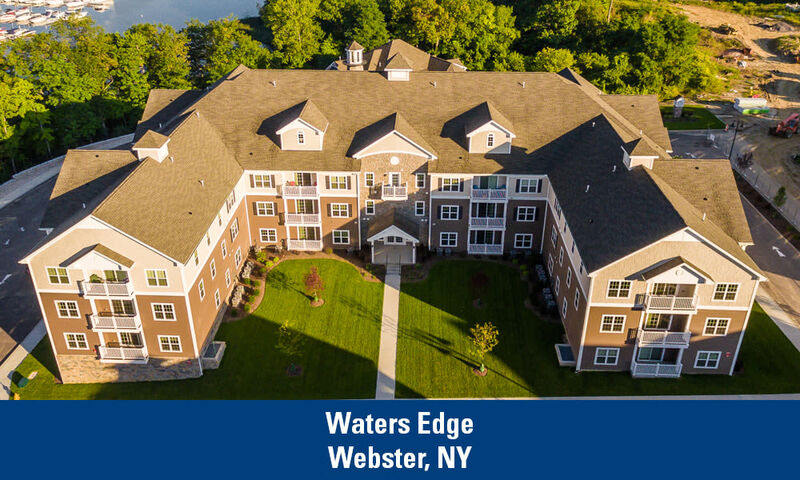 Amenities include an outdoor swimming pool, family friendly game room, fitness center with cardio machines and free weights, dog wash station, and clubhouse with Wi-Fi. 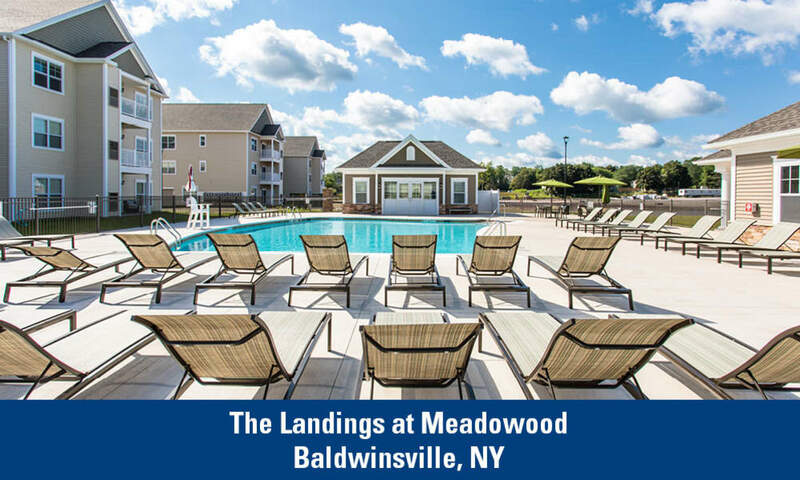 Woodland Acres is located in Liverpool, NY, and consists of 285 two and three-bedroom townhomes ranging from 1,086 sq. ft. to 1,405 sq. ft. This project sits on 58 acres and includes an outdoor, heated swimming pool as well as a 7,800 sq. ft. clubhouse which will offer a fitness center with cardio machines and free weights, business center, and billiards room. 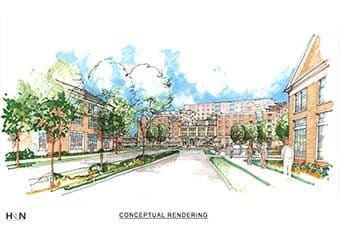 Morgan Communities and ARN Group, LLC have partnered to develop a mixed-use neighborhood on the site of the former Rochester Psychiatric Hospital, formerly known as the Terrence Building. 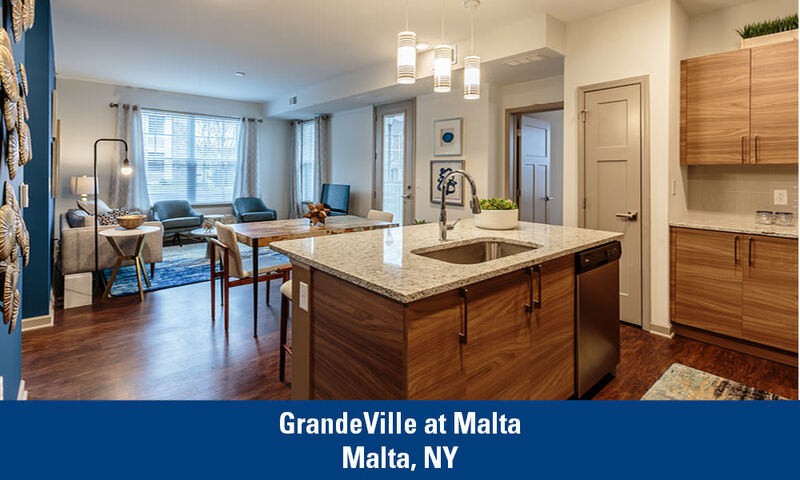 The community will feature more than 500 apartment homes, three commercial buildings, retail space, and a distinctive 112-room hotel. Early plans include Green space and walking and biking paths, including the highly anticipated Highland Park-Canal Way Trail. 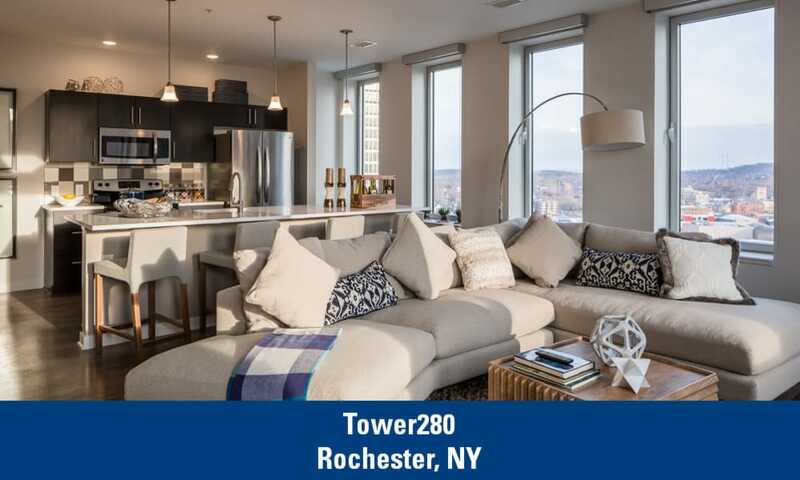 The 17-story Terrence tower will be replaced by the project’s gateway building, offering panoramic views of Rochester and the Town of Brighton. This is a 28-acre project budgeted at $57 million.